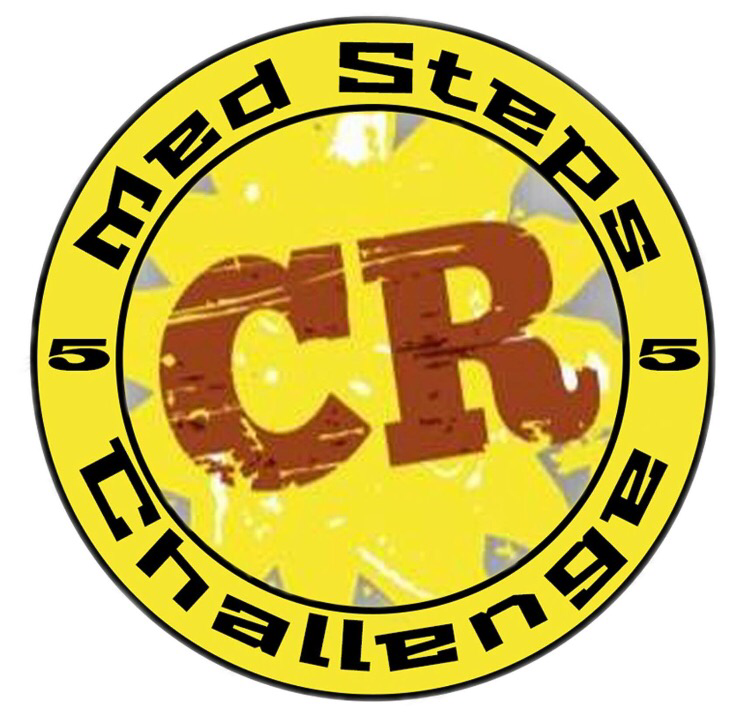 So, the time has almost come, it’s nearly time to lace up those trainers, slap on the suncream and hope for the best… it’s Med Steps 5 Challenge time! 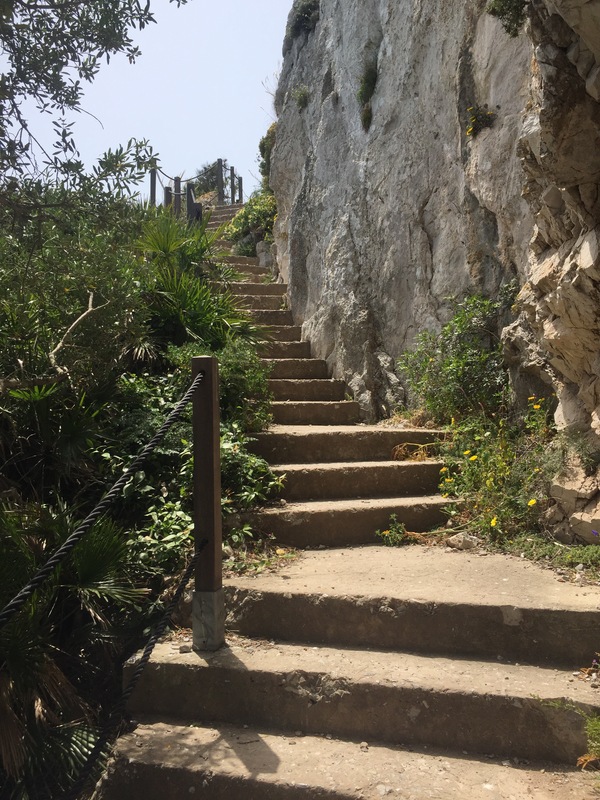 The beautiful rugged pathway which leads walkers (and very fit runners) from Jews Gate to the top of the Rock of Gibraltar will become purgatory for those of us who, for some strange reason, thought it would be a good idea to do it 5 times! 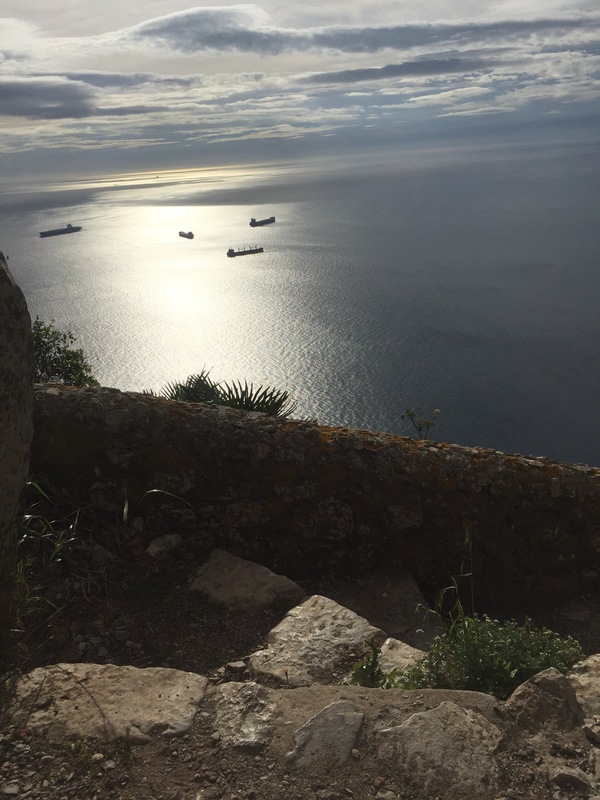 Last year I completed the climb 5 times with a couple of friends (after agreeing it would be fun) over a slightly boozy Christmas meal. Well, I’m not sure ‘fun’ is the word I’d use. It was flipping hard work, it was hot too, but the atmosphere of the event was amazing and the sense of achievement was something else. It was by far toughest physical challenge I’ve ever faced (aside from childbirth). I am not a sporty or athletic person by any shade of the imagination, but after 4 and a half months of training I was thrilled to be able to cross the finish line in 4 hours and 40 minutes along side my training buddies. 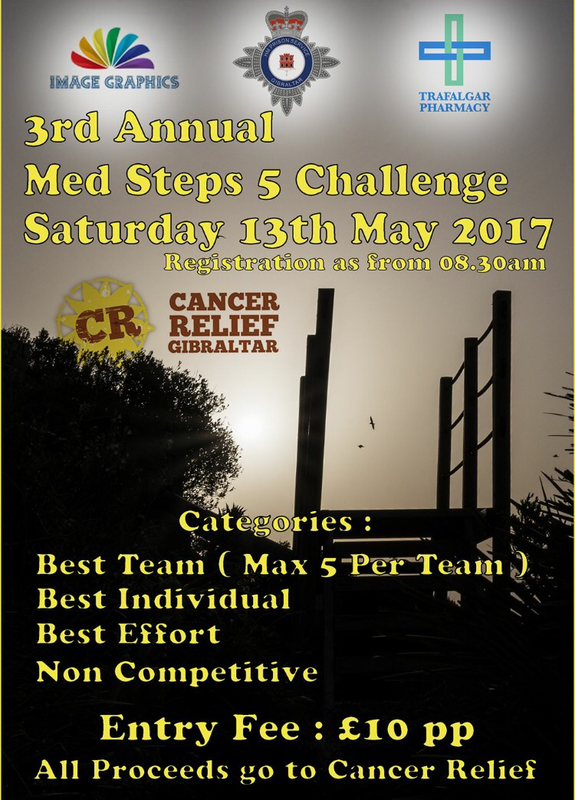 We managed to raise a considerable amount of money too for the wonderful Cancer Relief Centre here in Gibraltar. The Centre supports people undergoing cancer treatment with all sorts of complimentary care and services, it has a children’s playground and a new after school club for children affected by cancer, as well as advice for patients and listening ear. 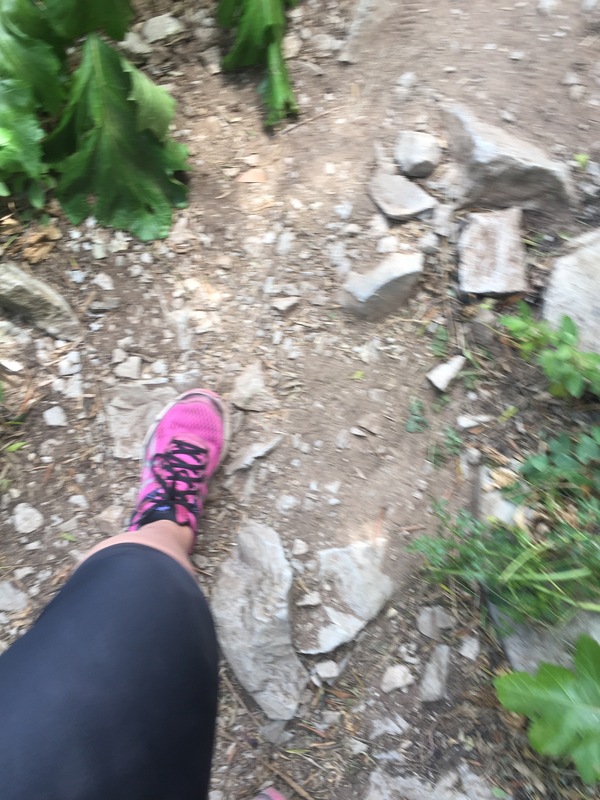 I think I remember saying after it was all over that I was pleased I’d done it, but never again… so why am I preparing to turn up at the starting line again this time? I’m not sure to be honest! We did begin our training in January as a trio again but other commitments and life got in the way for my training partners from last year, so they will be cheering me on from the sidelines. I know I can do 5 times round with the right training behind me, but I’m a little underprepared this time. I also know that if it takes me over 5 hours it doesn’t matter, the most important thing is to try my best and show support to this incredibly worthy cause. Wish me luck! 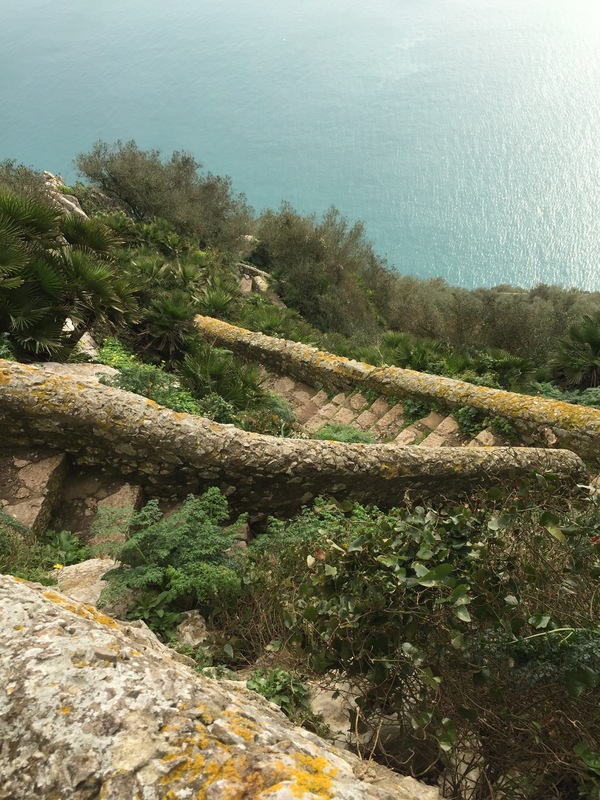 If you would like to hear about the Med Steps 5 Challenge from one of the organisers, why not give my latest podcast a listen? Good luck, I hope it’s not raining. Thanks Christine – I hope so too! 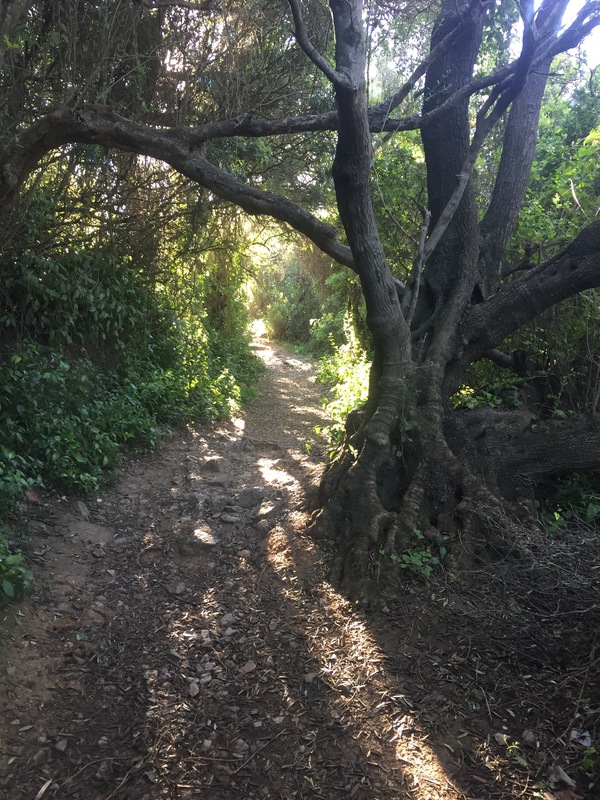 I would love to walk it slowly ONCE and take in the scenes but running multiple times??? Maybe the monkeys may help move you on little faster occasionally? Good luck, I’m sure it will be easier this time. Look forward to hearing ho you get on.